Thomas C. Parker, Boarder, Dec 1880, 19, Single, KY/TN/KY, Law Student. Biography* � She went by Fern. According to Charles Ross Culpepper, she "graduated from Ohio, Wesleyan College. Fern was working with the State Board of Health in Arkansas when we lived at Stuttgart, Arkansas. She died suddenly." A niece, Mrs. J. J. (W. Carolyn Watts) Gilinsky wrote that Una and Fitzhugh Lee Watts had no children. But Rev. George Bright Culpepper wrote on p. 4 of "ONE FAMILY - CULPEPPER" a 25 page typed manuscript completed 8 Oct 1942: One of the daughters married, bore one child, a daughter, and died. Her husband then married the other daughter, and still lives, with her husband and step-daughter in Monroe, Louisiana. E-mail written March 2005 to Warren Culpepper from Pris Whittington, e-mail address. James Culpepper, Son, M, 3, S, MS/GA/TN. Memphis Ward 16, Shelby, Tennessee; Roll: T625_1764; Page: 1A; Enumeration District: 158; Image: 347. E-mail written Jan 2008 to Culpepper Connections from John Butler Culpepper (#28948), Altadena, CA, e-mail address (Oct 2011). Biography* � Rev. Charles Ross Culpepper wrote, 12 Nov 1977: I grew up in Kansas.... Growing up so far from family I came to know only "Essie," Burke and John B. My path has been happy but difficult. I had to work for a college and seminary education. I also helped mother with the girls and we have a bond as close as one could hope for. I graduated at long last from West Va. Wesleyan in 1930. After two years in the coal fields I went to Boston and served the Church of All Nations and Goodwill Industries while at Boston U. School of Th. Came to W. Va. in 1936 and in 1940 left as a Chaplain in West Va. National Guard. Called up and served until the end of the war. Ended up in San Francisco with my wife a fine organist looking after all chapel services. Came home to our son and West Va. afterward and served in Parkersburg and Elkins before I became District Supt. Was able to attend five World Methodist Conferences as delegate or member of Council. Once at Oxford, again at Oslo, Norway, then London and twice here in U.S. My last work before retiring was to start a new church near Charleston. I am a Retired Colonel in U.S. Army, a Returned minister of the West Virginia Annual Conference of the United Methodist Church. 20 Dec 1978, Rev. Charles Ross Culpepper added that he was born at the family farm outside of Flemingsburg, KY and "I suffer from eyes that have failed and had a transplant in late September. The other eye will be taken care of in April or May. I have been much under the weather and activity limited." The following is from p. 167 of Who's Who in Methodism published in 1952 by A.N. 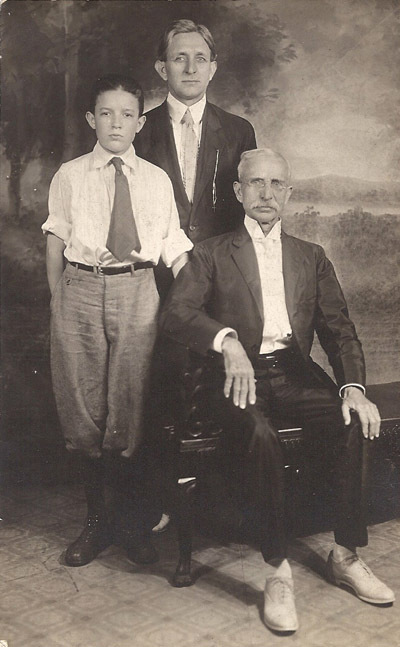 Marquis Co. CULPEPPER, Charles Ross; b. Flemingsburg, Ky., Oct 21, 1905, s. Marvin M. and Daisy (Ross) C; A.B., W.Va. Wesleyan U., 1930, S.T.B., Boston U. Sch. Theol., 1935; m. Olive O'Dell, June 30, 1928; 1 son, Marvin Wesley. On trial, St. Louis Ann. Conf., 1925, full connection and deacon, Gulf Ann. Conf., 1927, elder. W.Va. Ann. Conf., 1929. Pastor Springdale, Ark., 1925-26, asst. to Gen. Evang. Burke Culpepper, 1926-28; asst. pastor, Central, Charleston, W.Va., 1928-29; student pastor, W.Va. Wesleyan Coll., Buckhannon, 1929-31; pastor Ward, W. Va., 1931-32, Ch. of All Nations, Boston 1932-35, Beckley, W.Va., 1935-38, Clendenin, 1938-41; chaplain, U.S. Army, 1941-46; pastor, Wayside Meth. Ch., Vienna W.Va. 1946-50, First Meth. Ch., Elkins W.Va., 1950. Mem. W.Va. Conf. Bd. Evang. since 1949; dist. sec. evang., Parkersburg Dist., 1940-50. Home: 317 Kerens Ave., Elkins, W.Va. The following is from p. 299 of Who's Who in The Methodist Church published by Abingdon Press in 1966: CULPEPPER, Charles Ross, minister; b. Flemingsburg, Ky., Oct. 21, 1905; s. Marvin M. and Daisy (Ross) C; student Cumberland U., 1923-24, U. Ark., 1925; A.B., W.Va. Wesleyan U., 1930, D.D., 1950; S.T.B. Boston U., 1936; m. Olive O'Dell, June 30, 1928; 1 son, Marvin Wesley. 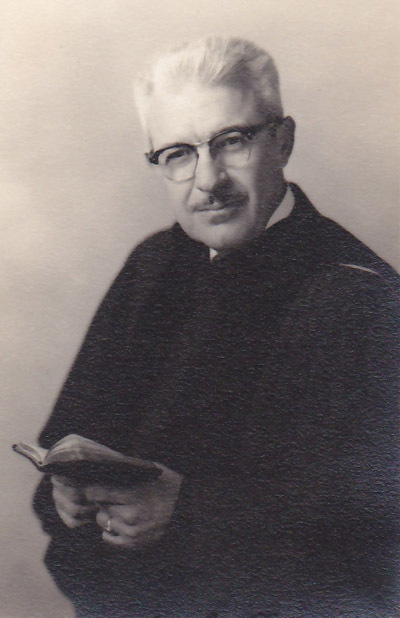 On trial St. Louis Conf., 1925, ordained deacon, full connection, 1927, elder, 1929; pastor in Springdale Ark., 1925-26, Central Charleston, W.Va., 1927-29, Buckhannon circuit, 1929-30, Ward Community, 1930-32, Ch. of all Nations, Boston, 1933-36, First, Beckley W.Va., 1936-39 Clendenin, W.Va., 1939-41 Vienna, W.Va., 1946-50, First, Elkins, W.Va. 1950-55; supt. Charleston Dist., 1955-61; pastor Lakeview Ch., St. Albans, W.Va, 1961---. Alternate del. World Meth. Conf., Oxford Eng. 1951; del. Lake Junaluska, N.C., 1956, Oslo, Norway, 1961; mem. World Meth. Council, 1962---; sec. W.Va. Conf. Bd. Evangelism, 1949-55. Chaplain. W.Va. N.G., 1941-64. Served to col., as chaplain AUS, 1941-46. Address: 25 Monongalia St., Charleston, W.Va. 25302. Church, Charles Ross Culpepper, died Tuesday, 30 Dec 1997, at Morris Memorial Nursing Home after a long illness. Culpepper, 92, an active alumnus of West Virginia Wesleyan College, also was known for his famous football pep talks at Stonewall Jackson High School. For 17 straight years, Culpepper spoke to Stonewall students before games with Charleston High School. Popular among young people, he also made presentations at several other area high schools. ordained a deacon in 1927 and an elder in 1929. He pastored in Arkansas, Massachusetts and West Virginia. In the state, he served in Buckhannon, Beckley, Clendenin, Vienna, Elkins and Charleston. Culpepper retired from Lakeview Methodist Church in St. Albans. Scouting and youth work were emphasized in Culpepper 's career. He also was a member of the Rotary, Lions and Masons. During his ministry, Culpepper represented the West Virginia Annual Conference at World Methodist Conferences in Oxford, England; Lake Junaluska, N.C; and Oslo, Norway. At Wesleyan, Culpepper served as past president of the alumni council and was honored with the alumni award in 1966.
varsity cheerleader. He received a bachelor's degree from Wesleyan in 1930 and a graduate degree from Boston School of Theology in 1936.
foster son, Dr. Tae Byung Whang of Penfield, N.Y; four grandchildren; four foster grandchildren; nine great-grandchildren; and two great-great grandchildren. Service will be at Christ Church United Methodist at 11 a.m. Saturday with Keith Clark officiating. Burial will be in Sunset Memorial Park. Friends may call from 5 to 8 p.m. Friday at Wilson Funeral Home. The family suggests memorial contributions to the Charles Ross Culpepper Scholarship Fund, care of Brooks Jones, West Virginia Wesleyan College, Buckhannon, WV 26201. (Source: 1 Jan 1998; Charleston Daily Mail; Page 3C. Research note* 25 Apr 2012� Dad said the 2nd son section on Charles Ross and Olive O’Dell was simply incorrect. Here is his narrative in summary. Dad was born Nov.12, 1929. He recently went to get a birth certificate and it had him listed as Dec. 11, 1929. He said he had no idea all his life someone had transcribed the month/day and the courthouse had the wrong info. He hasn’t bothered getting it fixed. So he was born 11/12/29 NOT 12/11/29. At the time of the 1930 Census, Charles Ross (Granddad) was not a resident of WV. He had come to WV with Uncle Burke to do Tent Revivals. Burke would preach and Granddad was Music Director. From there he met my Grandmother Olive “Ollie” O’Dell. Granddad returned the next year and he and Ollie eloped to VA to get married. Ollie was only 16 or 17 so it was covert. After their wedding Granddad transferred to West Virginia Wesleyan where he finished College. So he was living in Buckhannon WV until Graduation in 1932. Ollie became pregnant with Dad moved into her parents’ home in Charleston, WV until Dad was born. After the birth, they joined my Granddad in Buckhannon (circa Jan-Feb 1930). When the 1930 Census was taken, Charles Ross was an out-of-state student at Wesleyan so they noted his residence as that of his in-laws the O’Dells in Charleston, Kanawha Co., WV. So there was no Martin Moley. After Granddad graduated in 1932, he got a small church in Cabin Creek, WV but later moved to Boston to attend Divinity school at Boston U. School of Theology. He graduated from Boston in 1935 and the WV Methodist Conference in Sep of 1935 assigned him a church in Beckley, WV (1935 – 1938) and then Clendenin, WV (1938 – 1941). They all lived together until my father got “scarlatina” whereupon he was moved to Charleston to live with his Grandmother and Grandfather– Minerva and Wesley O’Dell. Dad entered 1st grade in Charleston but was moved to Beckley when his parents returned from Boston. Dad did 1st – 3rd grade in Beckley, 4th – 6th in Clendenin and back to Charleston for 6th grade. When WWII broke out, Dad stayed in Charleston while Granddad served as a Chaplain. He finished High School in Charleston but remembers going to Camp Winfield Scott in the SF Presidio during the summers. He was in SF for V Day. I will work diligently at getting the Apocryphal list copied but it sounds like this may just be another confirmation of a line that you guys feel to be fictional. I cannot explain it and admit to not having read all of your research notes (yet) so I’m a bit behind on this new twist. New to me that is. + Charles Ross Culpepper, 21 Oct 1905 - 30 Dec 1997, COL US ARMY WORLD WAR II. Charles Ross Culpepper, Son, M, 4, Sng, KY/GA/KY. Cecil Post, Boarder, 20, KS/KS/MO. Rev. Marvin Culpepper, 19 Aug 1927, 49 years, Ouachita Parish, LA. Who's Who in the Methodist Church-1966, Abingdon Press, 1966. Olive Culpepper, Wife, F, Wh, 18, M, md@16, WV/WV/WV, Not emp. Marvin Wesley Culpepper, Son, M, Wh, 4mos., WV/KY/WV. Melvina Culpepper, Dau, F, 14, KS/GA/KY. James Adam Schaal M. D.